Create collection of multiple PST files to convert PST Emails to TIFF file. More than 7 mail preview options to view PST file data. Auto-locate the relevant PST files saved in the user machine. Search within PST files to convert specific mails to TIFF file. Customized export options to sort the TIFF files after conversion. Apart from Outlook PST file to TIFF, the software able to converts PST files in more than seven file formats. Tool provides advance search option to perform search based queries on email data. Select emails using checkbox and then right click on it to export it. Choose TIFF file for conversion. Apply data export option for ease. Browse location to save file and click OK to process further. I am working as the cyber security expert for a firm which handles & provide training to governments law regulators departments such as Police, Intelligence etc. Nowadays we are handling a case of the client accused by cyber frauds. He has suffered from the financial loss of around 100 Million Dollar. This is the very sophisticated & highly confidential matter. There is no margin of error. So we are taking our step very carefully. But we are stuck in the situation which demands conversion of email to an image. I am looking for the solution that really handles my problem. Is there any possibility data leakage? Does Software maintain data integrity? What are the complexities in using the software on Windows OS? Can I perform batch conversion of PST emails to Tiff? Is there any option for searching specific emails? Does software provide technical views like hex view, the mime of emails also? There is always the possibility of error when a user tries to convert PST files to TIFF format. As it requires a very specialized software capable of performing conversion of pst file to tiff quickly & easily. PST to TIFF converter is one such tool which is highly demanded tool by forensic experts because of its wide range conversion capability. PST file to TIFF Tool provides 9+ technical view like Hex view, Mime View, Properties, Message view, RTF view and much more. PST files to TIFF converter provides the extended security to data. It is verified by many International organization. The Outlook PST file to TIFF Converter facilitates the conversion of pst file in batch to tiff. There are no complexities in using the software on windows operating system. What will be the extension of the output file after PST emails are converted? Yes The PST fie emails after conversion, will get stored in a TIFF file with extension .tiff. Can I save the PST emails images according to the dates on which they were received? Yes, you can apply naming conventions to the PST file emails and after conversion, all the email images will be sorted out based on their dates. What is the maximum limit of the PST files that can be converted to TIFF? There is no limit, as such, on the number of PST files that can be converted to TIFF files. You can convert unlimited PST files to TIFF file. Can we convert only a few pst emails to TIFF file? Yes, you can convert a selective count of emails to TIFF file with convert pst emails to tiff files software. Can I preview the email attachments and verify the message? Yes, you can preview the emails messages along with its attachments. Various other views like HTML view, header view, MIME view, are also integrated with the tool. PST To TIFF Converter is an advanced tool embedded with algorithms that enabled us to convert PST file to TIFF file in a matter of time.The tool is one of a kind and offers features thatmake the conversion process an efficient one. As Tiff images have more uses in the forensic community because of its high-quality features. 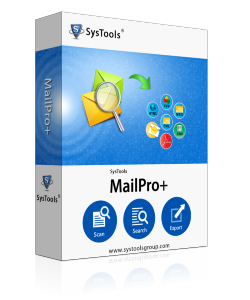 To convert PST emails to TIFF, you will definitely require tool. PST to TIFF Converter provides the value for your price. This is because it can convert PST file to other formats also.